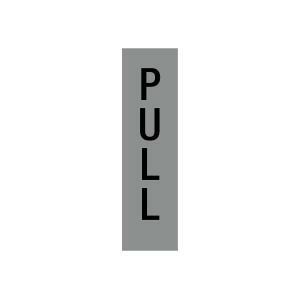 The Apli 'PULL' sign is perfect to label any door to indicate the direction it opens. The sign is self-adhesive and easily affixes onto most non-porous surfaces. This sign is suitable for use at offices, cafes, hotels, retail stores and more.